As anyone worth their weight in grade eight geography knows, Canada is pretty big. Not only in size, but also in its caliber of bucket-list-worthy must-sees (you’re going to want to spend a serious chunk of time exploring this beauty). So quit your job*, pack your bags, and jump on a flight to Canada because, you guys, this is the MUST do road trip to see the real Canada. 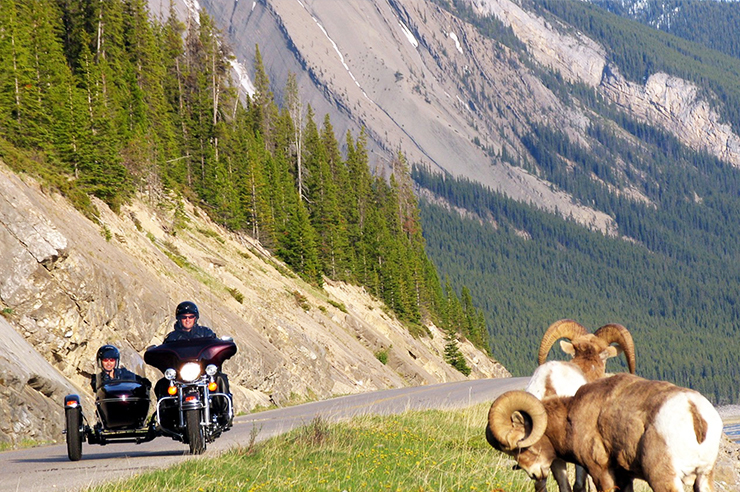 PS—yes, the best way to explore Canada is via road trip! Because we’re er, not Canadians, we’ve teamed up with Destination Canada to bring you the road trip you’ve just gotta do to see the real Canada, beyond the ski fields and poutine, that is. So, book yourself a hire car and get ready to traverse this huge country the absolute best way possible: out on the open the road! You could easily dedicate your life to exploring Canada by car, so we’ve picked a few of our fave road trips that we think give the perfect bite-sized introduction to Canada. *Don’t quit your job though, you should probably hang onto that one. 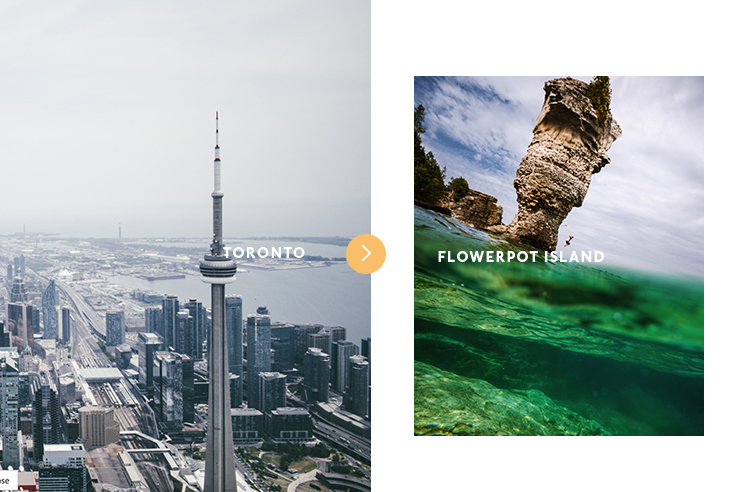 The trek from Toronto to Flowerpot Island will take you four hours but trust us, the views will be worth it. Flowerpot Island sits within the Fathom Five National Marine Park which is essentially just an endless expanse of crystal clear blue water, ship wrecks, and islands. Bring your scuba gear (or just your swimmers) and get exploring. If serene natural wonders aren’t’ exactly your scene, make sure you’re in town around August to catch VELD Music Festival for some serious office bragging rights. From Toronto head on up to Montreal and onto the Gaspe Peninsula and prepare to be wowed by this historic (and stunning) route. Look for the Chemin du Roy route and head north along the St Lawrence River. Make stop-ins at the villages along the route, before heading along to the Gulf of St Lawrence and onto the Gaspè Peninsula. Once at Gaspè be sure to kayak along the striking Bonaventure River, explore the Grotte de St Elzèar Caves, and devour all of the fresh seafood before hitting the road again. 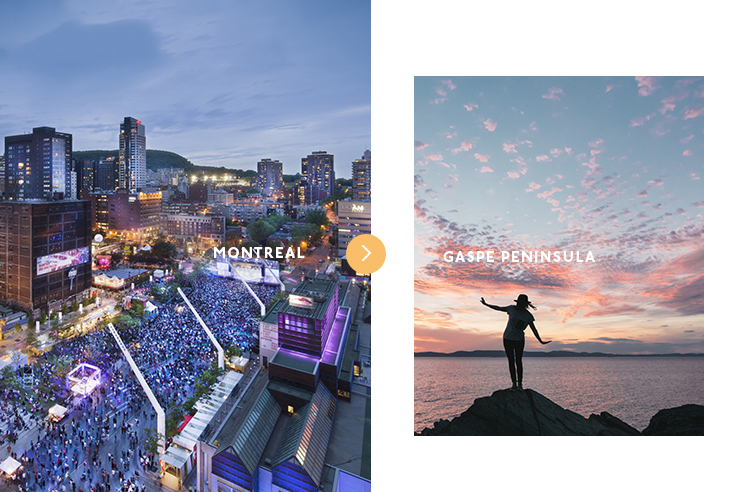 Before you leave Montreal though, don’t forget to check if there are any fun festivals on. Our pick is The Osheaga Music and Arts Festival which brings some serious party vibes to the city each August. To take your journey into the heartland of Canada, jump onboard the Canadian Rail, or hop on a cheeky flight into Manitoba. 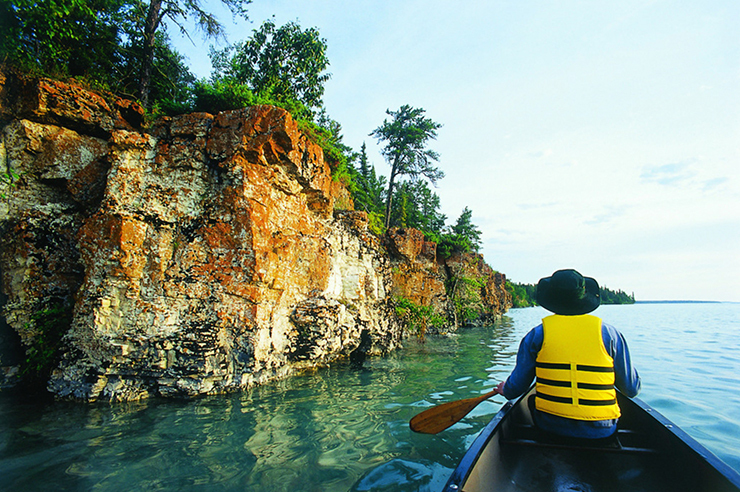 Manitoba has a whole bunch to offer by way of scenery, epic eats, and cultural experiences. Be sure to stop by Little Lime Stone Lake for what is essentially a real-life postcard. Plan ahead for this one, though, as the area is quite remote. Add canoeing the Caddy Lake Tunnels to your list, too, for a refreshing view of Canada that we bet no one you know has done before. Next up, head out across the vast prairieland of Saskatchewan and on to Alberta. Ok, so the Icefields Parkway is only a four-hour drive, but holy moly does the scenery make it feel never-ending. This route runs between the stunning Banff National Park and the equally as stunning Jasper National Park. Look, you’re going to want to drag this drive out for as long as possible to soak up all of the sites, so we recommend camping at Jasper National Park and taking advantage of it being one of the largest dark sky reserves in the world (hint: that means you can see the stars really, really well). If you’re road tripping around Canada you just can’t miss the Sea to Sky Highway. Whistler and Squamish are less than three hours from Vancouver via this stunning route, so, no matter the season, make sure you head out this way to catch a glimpse of Canada’s most stunning scenery. 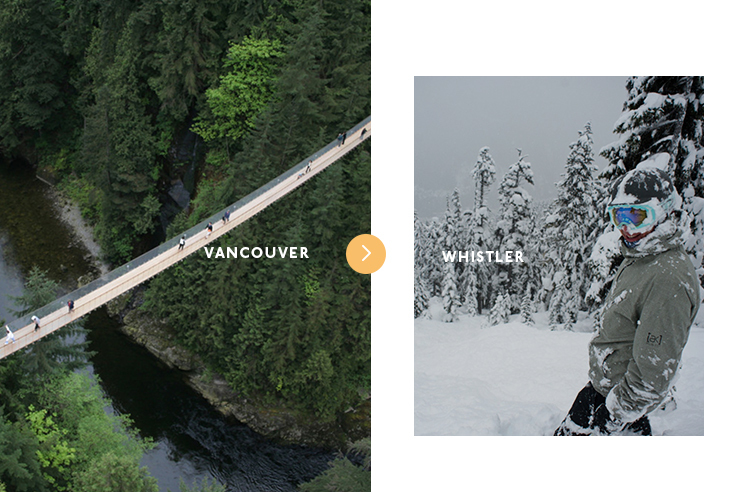 Stop by Shannon Falls en route to Whistler, take a dip at Scandinave Spa, and capture the perfect ‘gram at Lost Lake. There’s SO much more to do out this way, so watch the video above if you’re after more tips. We know, we know—we told you to fly out of Vancouver, BUT we have one last drive you’d be a fool to miss. Jump in the car from Vancouver and head out onto the Strait of Georgia to Vancouver Island via BC ferry. You will most likely see orcas on this boat trip, so keep your eyes peeled! Once you reach dry land, it’s back on the road again from Nanaimo to Tofino through old growth forests and ridiculously mossy landscapes. 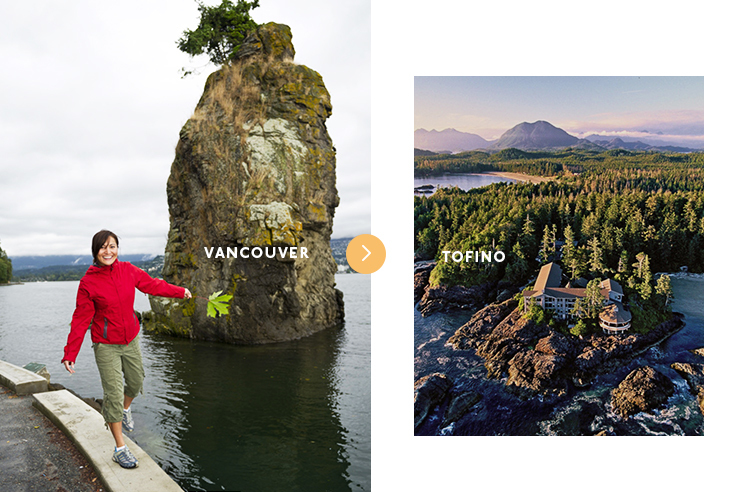 Once you arrive at Tofino you’ll be met with a relaxed beach town that is one of the most stunning places on earth. Be sure to check out the hot springs, go storm watching, or book in for an Aboriginal cultural experience. Seriously feeling the road trip vibes?! Check out Destination Canada’s website to plan your trip right now and check out some steals with STA right here. Editor's note: this article was produced in partnership with Destination Canada. Thank you for supporting the partners who make The Urban List possible. For more information on our editorial policy, please click here. Image credit: images provided by Destination Canada's tourism bodies.